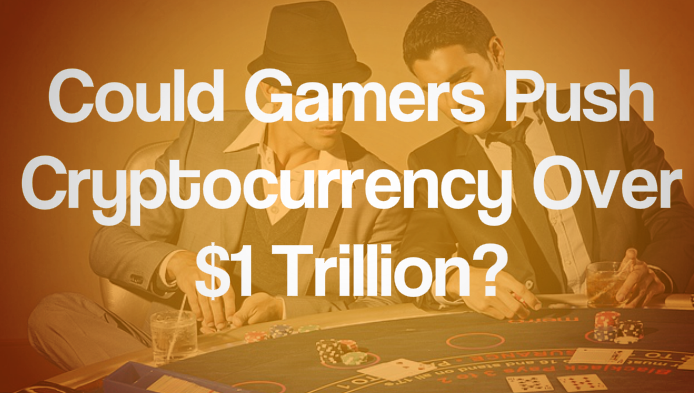 Could Gamers Push Cryptocurrency Over $1 Trillion? A burgeoning industry, digital assets represent billions in market capitalization today. Yet, according to a study performed by researchers at the University of Cambridge back in April of 2017, there only a total of around 3-6 million users in the world hold all of the digital wallets for cryptocurrencies. Since April, there has certainly been an increase in the number of users, but there has yet to be a significant influx of a new user base for cryptocurrency backed blockchain technologies. For mainstream adoption of cryptocurrencies to take place and drive the market beyond its current limits, additional demographics must be inducted into accepting digital currencies as a viable means of exchange. One such untapped pocket that may yield potential lies within the gaming community in which exists centralized exchanges of digital goods. Each year over 400 million people exchange these virtual goods. Every day, players buy, trade, or, sell digital content like skins for weapons, equipment for avatars, and various other forms of digital content are available on exchanges. Players and collectors alike couple together in this marketplace where those vying for coveted digital content are willing to spend serious money to get exclusive rights to it. By establishing a means of opening the doors to this marketplace with a decentralized and easy-to-use exchange will have a significant impact on the cryptocurrency world. An already robust place of commerce will have its inhabitants introduced to both cryptocurrencies and blockchain powered exchanges of value. For an added bonus in turn, those who have already been early adopters of cryptocurrencies are also likely to begin to explore the possible marketplace. Because transactions are verified by consensus mechanisms like proof of work, proof of stake, and others, rather than central institutions who normally take a cut in the form of high-cost fees, cryptocurrencies are a great alternative for gamers to transact with. These types of innovations will provide those utilizing exchanges powered by blockchain systems an advantage against traditional systems; the cost of code governed blockchain verified transactions are relatively small in comparison with centralized networks. The mass adoption of cryptocurrencies can be accelerated by infusing the marketplace with digital goods. Gaming is a natural avenue for the application of blockchain based currencies, and a centralized exchange for them to flourish. It also stands to reason that gamers who already buy and trade in digital goods would have no trouble adopting a digital form of currency as means of accessing them. The participation of the members of that ecosystem have the capability of delivering a new layer of liquidity and investment into the cryptocurrency. If tapped into, the massive influx of hundreds of millions of new users could easily drive the adoption of all cryptocurrencies and push the total market capitalization of the industry into the $1 Trillion range.